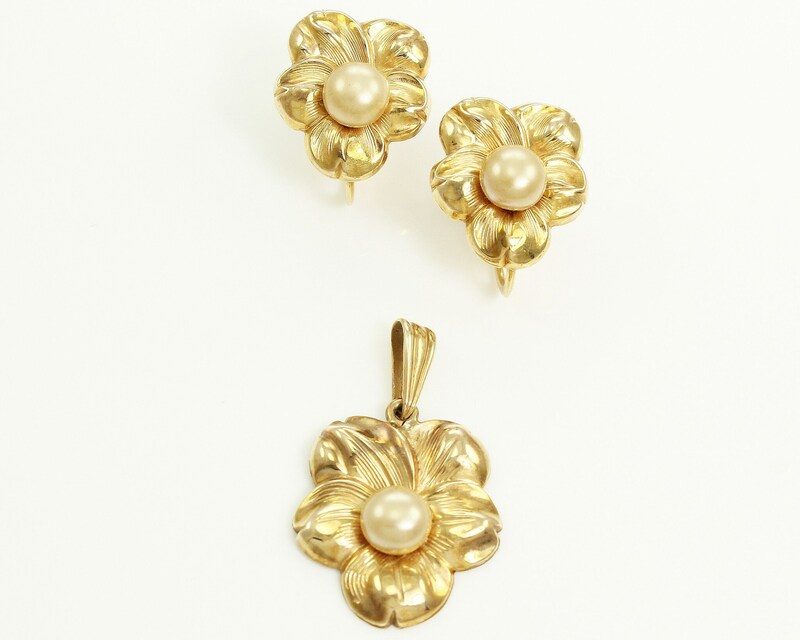 Vintage Flower Pendant and Screw Back Earrings of 10K Yellow Gold and Cream Simulated Button Pearls. 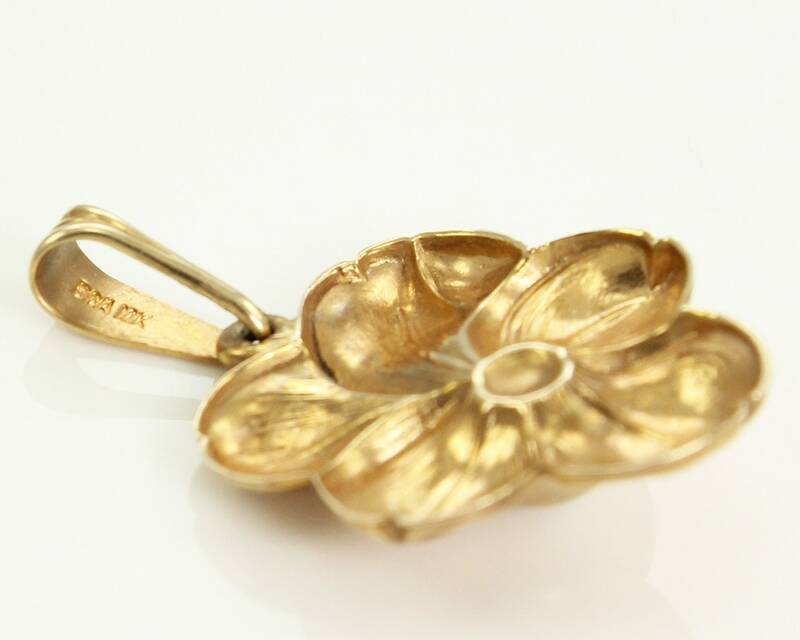 This dainty jewelry set was made by Budlong, Docherty & Armstrong of Providence, RI in the 1940s. 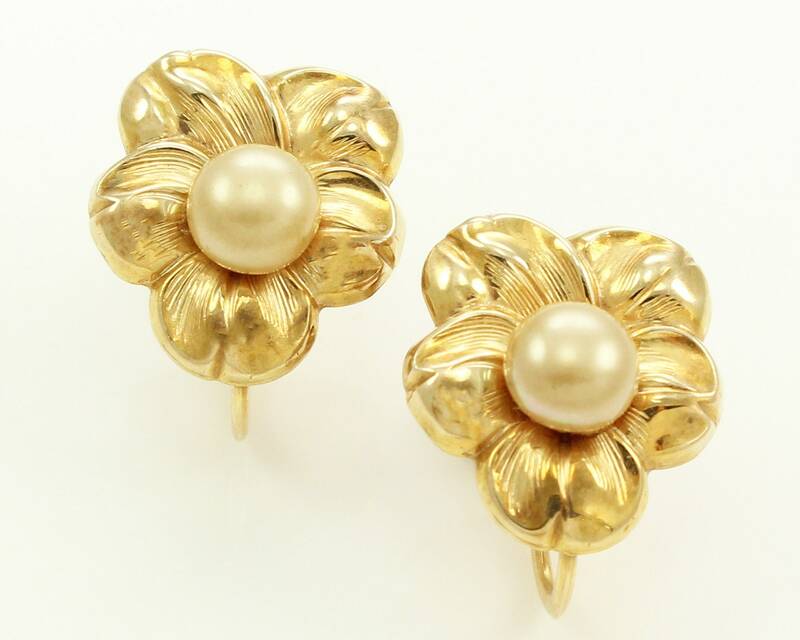 Each posy is stamped of 10K gold and cetered with a simulated button pearl. 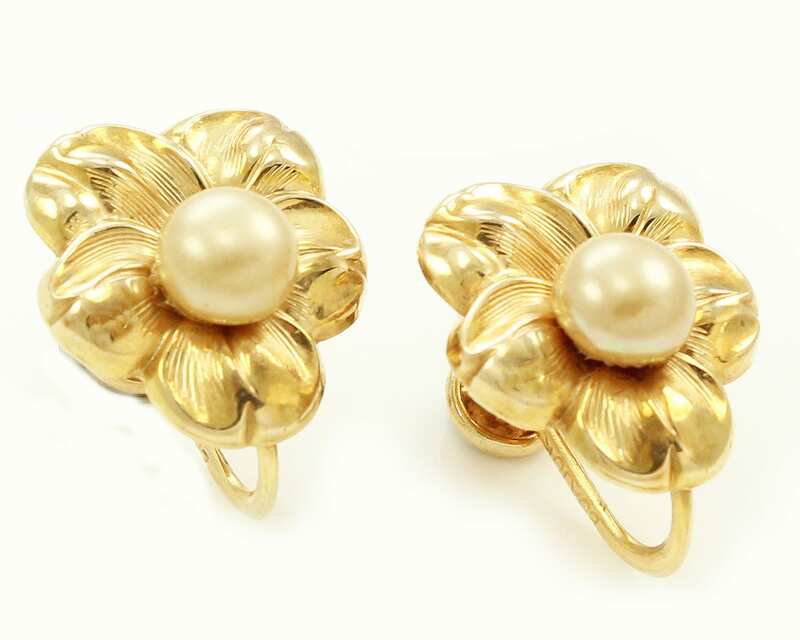 This set is perfect for a simple romantic wedding look. 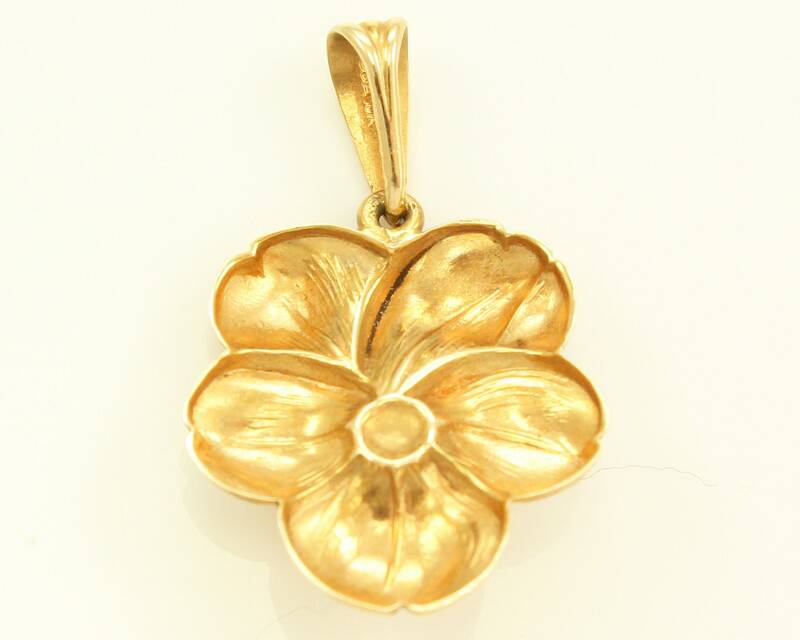 The pendant measures approximately 1 1/8" x 11/16", including fold-over bale. 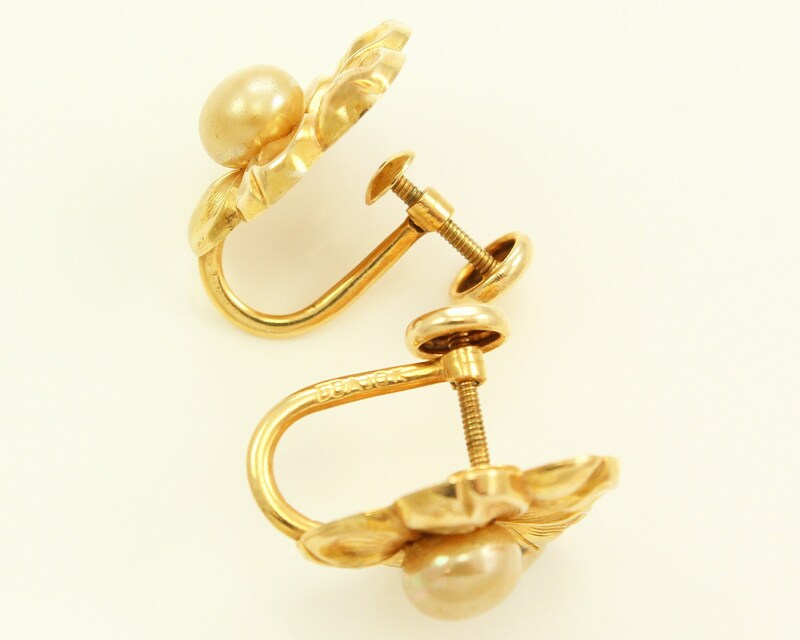 Each non-pierced earring with screw post back measures approximately 5/8" x 9/16". Marked inside bale and on earring finds BDA 10K. In Very Good Vintage Condition with no damage noted. This set seems to have rarely, if ever worn. HALLMARKS/HISTORY: Stamped inside bale and on earring finds BDA 10K. This is the mark for Budlong, Docherty & Armstrong of Providence, Rhode Island. In 1950, they advertised that they had been in business for 100 years. There trademark expired in 1986, so they had ceased operation by that time. CONDITION: Very Good Vintage Condition with no damage of any sort noted. SIZE/MEASUREMENTS: Pendant is 1 1/8 inch tall (including bale) and 11/16 inch wide. Earrings are 5/8 inch tall and 9/16 inch wide.